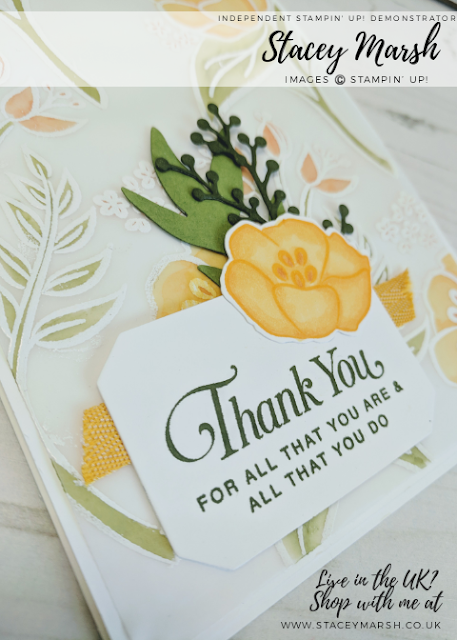 Wow it's the 1st of April today which means Sale-a-Bration is over and we have just 3 short months left until the Spring/Summer catalogue finishes and the new Annual Catalogue starts! 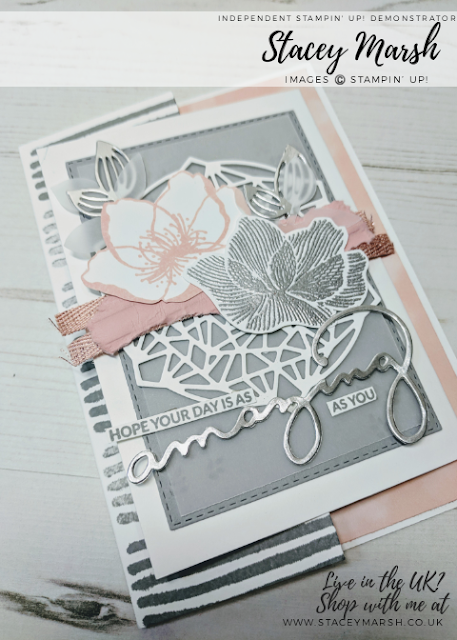 The card that I am sharing with you today is using the Beautiful Promenade Stamp Set and coordinating Framelit Dies which is such a stunning set of products! 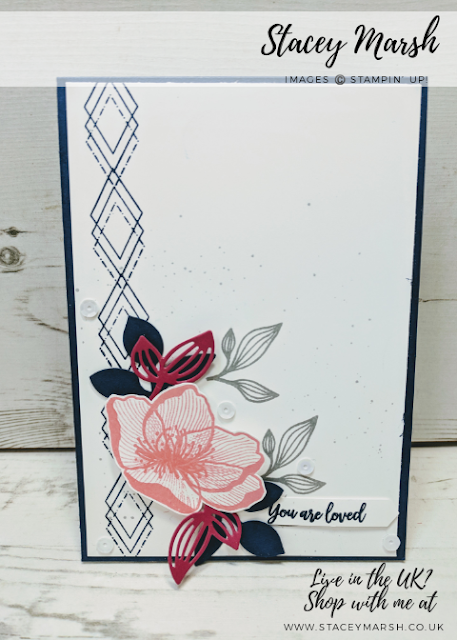 This card has been put together using Night of Navy, Smoky Slate, Flirtly Flamingo and Lovely Lipstick and I have tried to keep it simple! 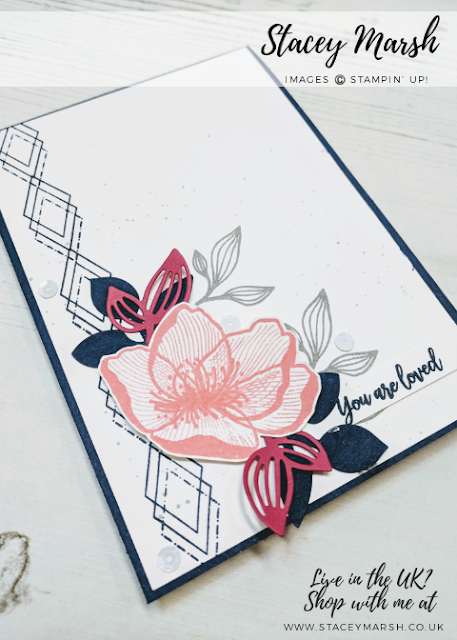 My favourite stamp in this set is the diamond outlines that I have stamped in a long line. 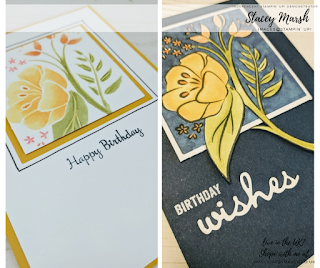 I love any stamp that you can create tones of colour, and are useful for backgrounds. 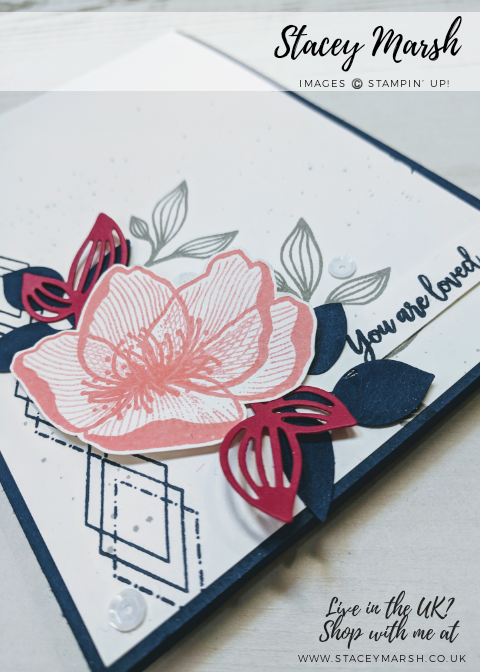 The flower has been stamped, die-cut out and attached to the card using Stampin' Dimensionals. 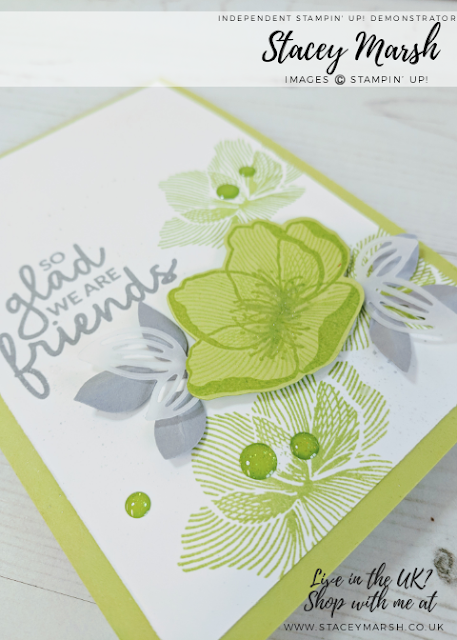 Underneath the flower I have added some leaves that have been cut using the Leaf Punch and the coordinating dies. I have also stamped some leaves in Smoky Slate ink. To finish, I have added the "You are loved" sentiment that I have created using the Classic Label Punch and a few Adhesive Backed Sequins in White. You can order any of these products used by visiting my online shop. 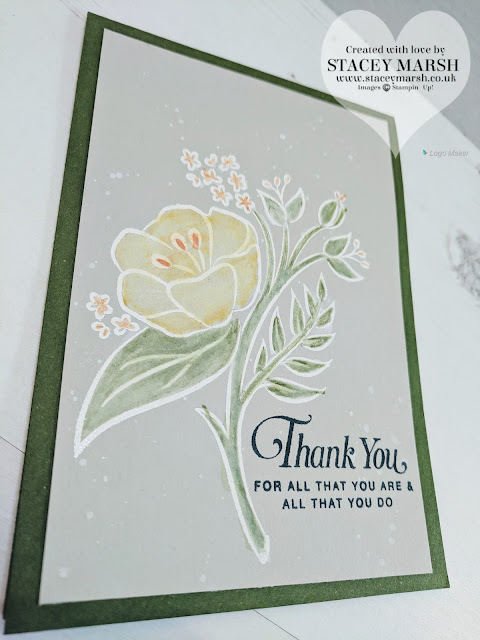 I have listed the items that I have used for this card below for you. When placing an order online, please remember to enter this hostess code below at checkout. All customers who order using this code will receive a gift from me at the end of the month. 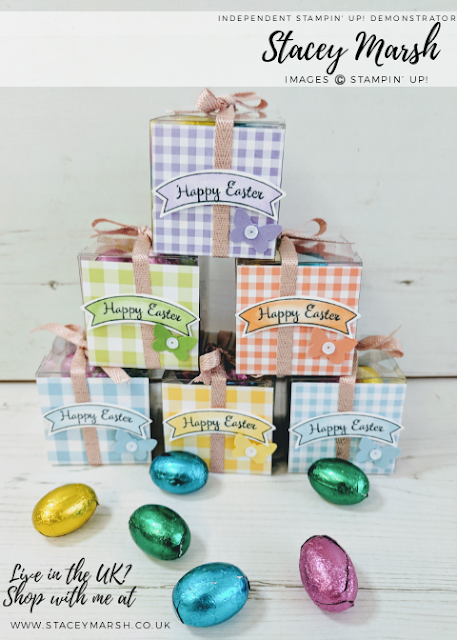 If your order totals more than £150 (plus P&P) please don’t use this code as you can chose your own rewards to add to your order, you will still get a gift from me.